The California Air Resources Board (CARB) has preliminarily awarded $41 million to the Port of Los Angeles for the Zero-Emission and Near Zero-Emission Freight Facilities (ZANZEFF) project. The total cost for this initial phase is $82,568,872, with partners providing 50.2% in match funding. The project, proposed with support from Toyota, Kenworth, and Shell, provides a large-scale “shore to store” plan and a hydrogen fuel cell technology framework for freight facilities to structure operations for future goods movement. The Port of Los Angeles will develop the project in several phases, ultimately encompassing initiatives in Southern California, the Central Coast Area, and Merced County. The initial phase is designed to kick-start the leap to a new class of goods movement vehicles, while reducing emissions in designated disadvantaged communities. 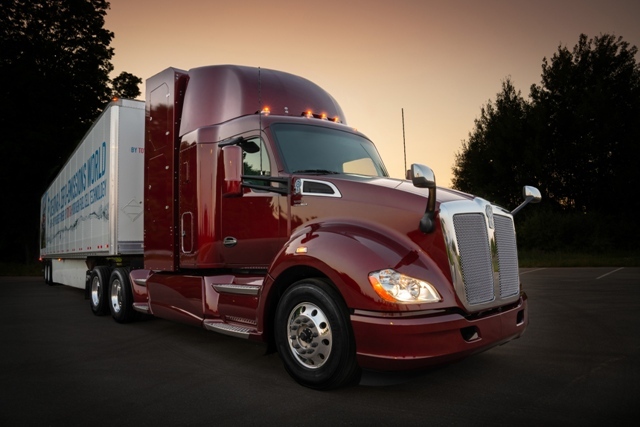 The project phases will include 10 new zero-emissions hydrogen fuel cell Class 8 on-road trucks on the Kenworth T680 platform that will be developed through a collaboration between Kenworth and Toyota to move cargo from the Los Angeles ports (the trucks will be operated by Toyota Logistics Services, United Parcel Services, Total Transportation Services Inc., and Southern Counties Express). The initiative also includes two new large capacity heavy-duty hydrogen fueling stations that will be developed by Shell in Wilmington and Ontario, California. The stations will join three additional stations located at Toyota facilities around Los Angeles to form an integrated, five-station heavy-duty hydrogen fueling network. Together, they will provide multiple sources of hydrogen throughout the region, including over 1 ton of 100% renewable hydrogen per day at the heavy-duty station to be operated by Shell, enabling zero-emissions freight transport. Moreover, the project will promote an expanded use of zero-emissions technology in off-road and warehouse equipment, including the first two zero-emissions yard tractors to be operated at the Port of Hueneme, and two zero-emissions forklifts at Toyota’s port warehouse. The ZANZEFF project, which will help reduce emissions by 465 metric tons of Greenhouse Gas and 0.72 weighted tons of NOx, ROG and PM10, is part of California Climate Investments.